What Are You Doing This Summer? 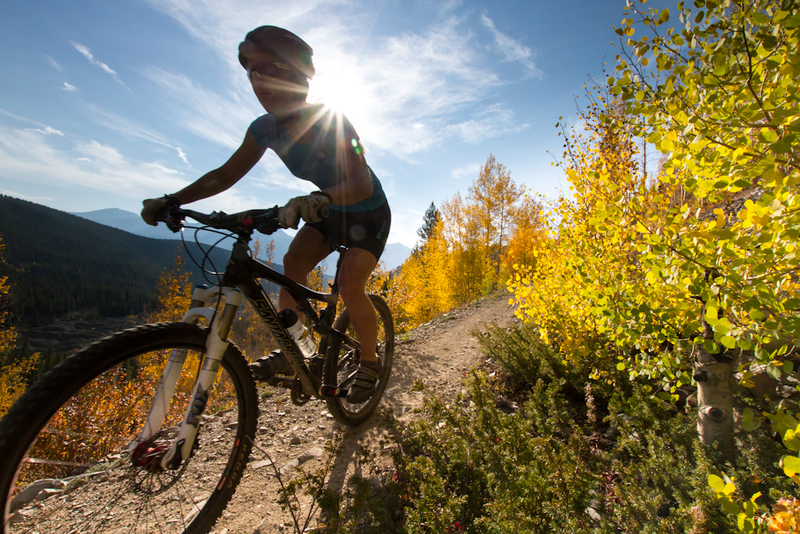 How About #Biking in #Breckenridge? In fact, in Breck we love biking so much that we dedicated a full week to celebrating our two-wheeled lovers. If you feel the same way about your rolling companion, plan to attend Breck Bike Week, held every summer, including races, clinics, even bike in movies, plus family friendly biking activities for all ages. Breckenridge is the ideal four season paradise, and as skiing season is coming to a close, other wondrous activities are starting to ramp up. Fly fishing in some of the purest waters in the entire U.S., horseback riding, kayaking, or just a great spot under a tree for a nap and a picnic. And once you visit Breckenridge, your greatest struggle will be not wanting to leave. For those of us who have this great struggle, we found the perfect solution. Making Breckenridge our home away from home through fractional real estate purchases. Fractional real estate gives Breckenridge lovers the opportunity to own a second home with the address Heaven on Earth at a fraction of the cost of whole home ownership, without the hassles of maintenance, but with the tax benefits of home ownership. For a limited time, there is an exclusive fractional real estate opportunity at will soon be the most coveted address in all of Breckenridge. The Grand Colorado at Peak 8 sits at the base of Peak 8 with ski in-ski out access and acres of mountain wonderland for a backyard. There are only 75 units, and they are going fast. In luxurious mountain modern style, this resort will offer world class resort amenities plus all of the comforts of home. Studios to 4 bdrm luxury condos are available, CLICK HERE to take a sneak peek. Request your complimentary ownership kit below, or call Senior Broker Brent Henry at 970-485-2117 for a complimentary consultation about your real estate needs in Breckenridge. This entry was posted on March 28, 2015 by elevatemarketingaz. It was filed under Breckenridge Colorado Luxury Condo Sales, Breckenridge, Colorado Real Estate, Fractional Ownership Real Estate Breckenridge CO, Fractional Real Estate Breckenridge Colorado, Luxury Fractional Real Estate Breckenridge Colorado, Ski In, Ski Out Luxury Condo Breckenridge Colorado and was tagged with Breckenridge Colorado, Breckenridge Colorado condos, Breckenridge luxury condo sales, Brent Henry Breckenridge real estate broker, Grand Colorado on Peak Eight.